Teresa Selvaggi Passed away peacefully on Dec. 27, 2018 of SW Philla. . Devoted wife of the late Michele Selvaggi. Loving mother of Nicholas (Theresa) Selvaggi, Antonietta "Babes" (Paul) Vatrella and the late Cosimo Selvaggi. Also survived by her 2 grandchildren and 3 great grandchildren. 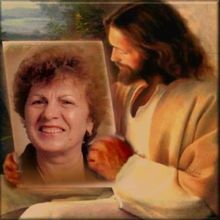 Sister of Rocco (Antonietta) Grieco) and the late Carmela Grieco, Maria Grieco. .